The roster update for Madden NFL 19 featuring ratings changes based on regular season performance through 10 weeks has gone live to download all systems. 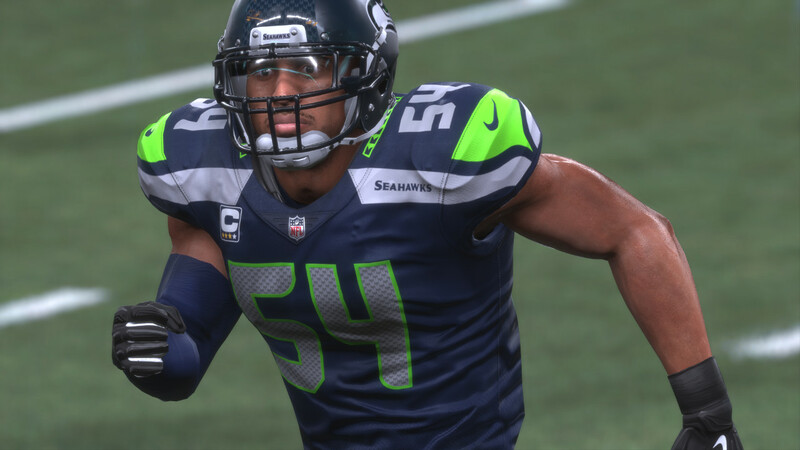 Bobby Wagner has joined the elite class of 99 Overall rated players in the update. He climbed from 97 to begin the year to 99 with two upgrades over the last two weeks. Notables on the move in ratings this week include Luke Kuechly (-2 to 97), Tom Brady (-1 to 97), Todd Gurley (+1 to 96), Le’Veon Bell (-1 to 94), Drew Brees (+1 to 93), Tyreek Hill (+1 to 93), Christian McCaffrey (+1 to 92), A.J. Green (-1 to 92), Ezekiel Elliott (+1 to 91), Philip Rivers (-1 to 91), Matt Ryan (-1 to 90), George Kittle (+1 to 88), Andrew Luck (+1 to 87), Jaire Alexander (+1 to 85), Quenton Nelson (+1 to 84), and Leighton Vander Esch (+1 to 83).